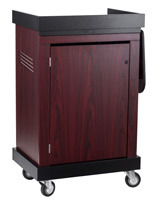 These mobile AV lecterns are made of black steel and laminated MDF with an attractive cherry wood finish. 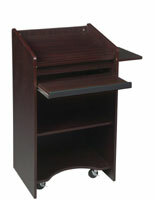 The podiums each have a locking cabinet with an adjustable shelf for holding supplies. 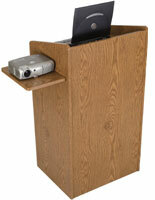 The AV lecterns have (4) caster wheels for easy mobility, making them a great choice for schools and churches. 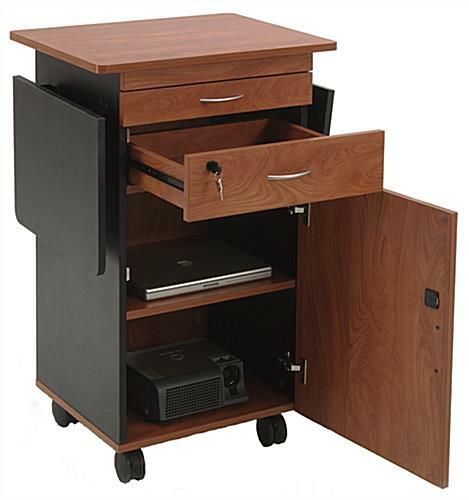 The wood finish stands feature a number of places to keep electronics, like the drawers, the (2) flip-up side shelves abd the slide-out front shelf. 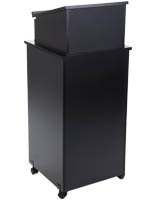 The adjustable lecterns with a locking cabinet have a 25" x 19" top surface for books, notepads and tablets as well. 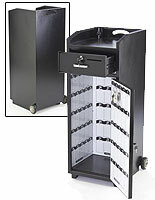 (2) of the podiums' caster wheels can lock for additional stability. 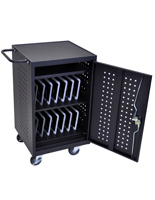 27.8" x 38.0" x 19.0"
18.0" x 23.0" x 16.5"
15.0" x 2.5" x 15.0"